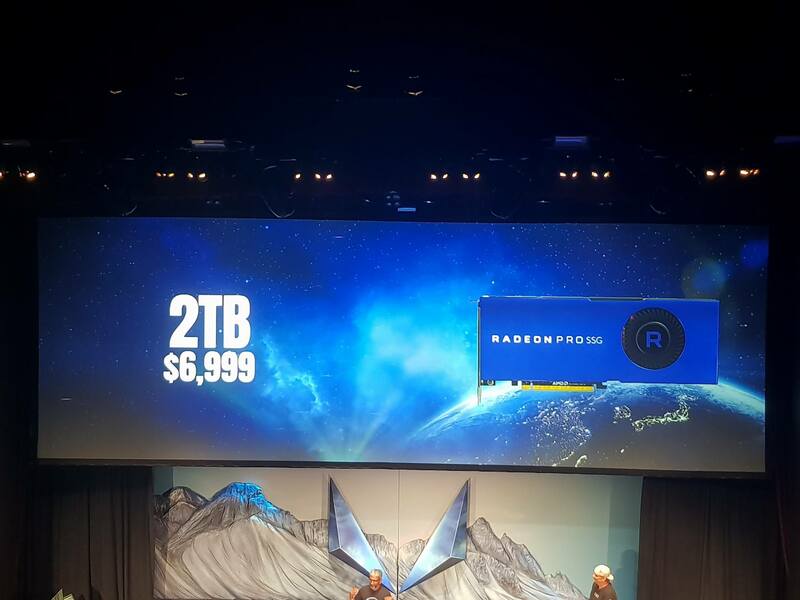 At the SIGGRAPH 2017 conference, apart from Radeon RX Vega graphics cards, AMD also announced two new professional graphics cards, built on Vega graphics architecture. 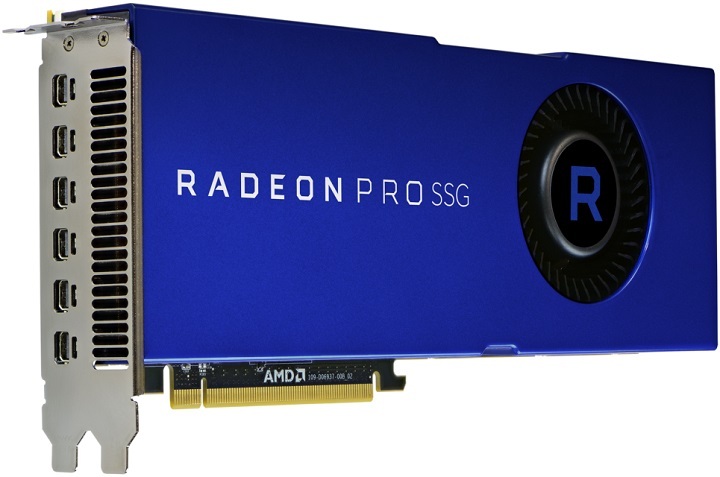 The Radeon Pro WX 9100 and Radeon Pro SSG and are designed primarily for working with media content, CAD / CAE-applications and visualization systems. At the heart of both graphics cards is the Vega 10 graphics processor with 4096 stream processors. The maximum frequency of the GPU is about 1500 MHz, which provides a level of performance in operations with a single precision of 12.3 TFlops. Equipped with 16 GB of multi-layer memory HBM2, running at 945 MHz (1890 MHz effective) while providing a throughput of 484 GB / s.
In addition, the Radeon Pro SSG has a two-terabyte NVMe-drive, working as an additional video buffer. According to AMD, this non-standard solution should increase the performance of the video card when working with massive data volume in programs like Adobe After Effects, Autodesk Maya and Blender. 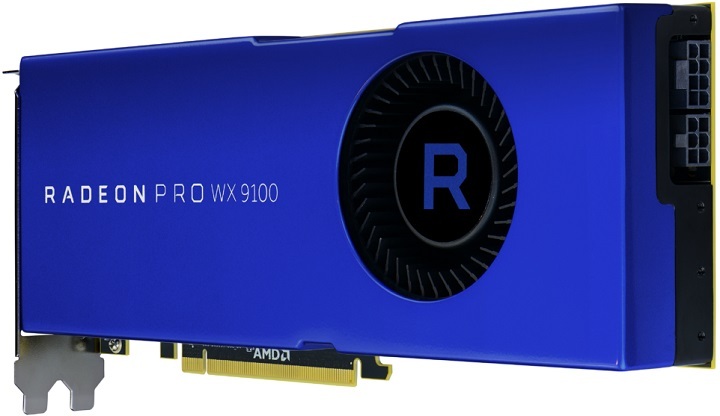 At the same time, the Radeon Pro WX 9100 is designed to work with applications such as Solidworks, Siemens NX and PTC Creo. Both graphics cards will be powered through one 8- and 6-pin PCI-E Power connector. There are six Mini DisplayPort interfaces for displaying the image. AMD’s Professional graphics cards, AMD Radeon Pro WX 9100 and Radeon Pro SSG will go on sale on September 13. The recommended cost of new products is $2,200 and $7,000, respectively.